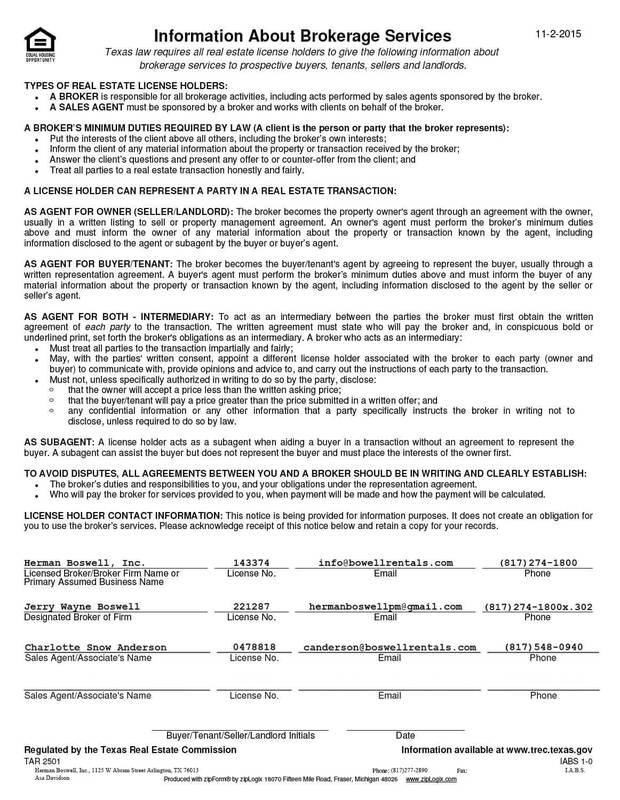 Lease Agreements - Herman Boswell Property Management can help! The rental lease agreements (or lease) governs the entire rental relationship from a financial and legal standpoint. This includes the amount of rent, when it’s due, and how to pay it; how many people can live in the apartment, including rules for subletting; what each party’s duties are, and what to do if either party fails to perform. While leases occasionally are reached with a verbal agreement and a handshake, they more often involve a written lease agreement. Certain provisions, including the names of the two parties and the address of the rental unit, are standard. But lease agreements are all different, depending on the landlord’s wishes and the limits of the law. Just because it’s written in a lease agreement doesn’t mean it’s enforceable. Certain provisions violate federal law, such as requirements that a tenant be a certain gender or not be a certain race, color, or nationality. When you sign a lease, you sign a legal agreement with the owner of a rental property. So it makes sense to get a complete understanding of what it is you’re agreeing to.